CIOE 97.5FM will be host venue to a evening of great gospel music. 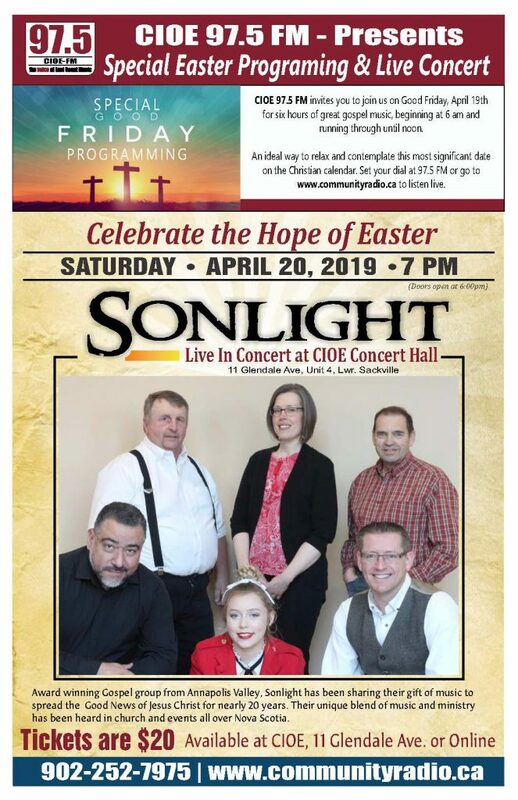 Featuring award winning Gospel group from Annapolis Valley; Sonlight has been sharing their gift of music to spread the Good News of Jesus Christ for nearly 20 years. Their unique blend of music and ministry has been heard in church and events all over Nova Scotia. © Copyright 2019 by Cobequid Radio Society .